Eight years ago, we launched the first Chiropractic Specialty Center in Bukit Damansara. From our beginning until this day, we have provided Malaysians and Expats focused World Class Chiropractic and Physiotherapy services. Our knowledge, Skills and our Advanced Hi-Tech therapeutic modalities have been the corner stones of our success. The knowledge and skills of our clinical team is second t none. This knowledge and set of skills combined with our Hi-Tech method of Spine, Joint and Sports Injuries has enabled us to treat even conditions that were hopeless. Today, we can proudly say that our centers are the BEST non-surgical Spine, Joint & Sports Injury treatment center in town. The video on this page was provided by one of our patients that wanted to share his story with other that have chronic back pain. This gentleman came all the way from United Kingdom to get NSD Therapy. In the UK he was told to have surgery. That meant the end of his sky-jumping days. Not liking that option, he looked for the BEST non-surgical option. In that research he found NSD Therapy. Soon thereafter, he visited Malaysia to obtain the much-needed treatments and on his last day he was in almost a perfect condition. A severe slipped disc changed his life for the worse. We changed back for the better. 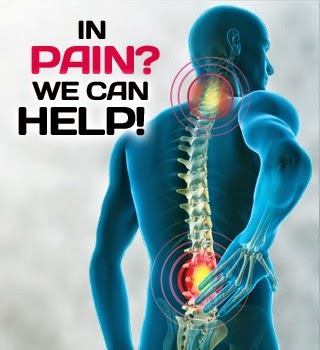 If you have back pain or neck pain you need us. NSD Therapy is a combination of chiropractic, physiotherapy and Advanced Hi-Tech rehabilitation. Visit one of our centers to see how NSD Therapy is better than anything else you may have done. You owe it to yourself. Why pay for treatments and therapies that don't work. Learn how NSD Therapy can help your recovery from a slipped disc today.